Backed by a team of dexterous professionals, we have been able to offer our clients High Speed Double Twist Bunching Machine. These are designed by our experts using advanced machines and production techniques. Our offered products widely find their applicability in various wire and cable industries for bunching copper & steel wires. Further, we also offer custom-build products as per the details and drawings provided by the patrons for their maximum satisfaction. Owing to our technically advanced manufacturing unit, we are able to offer a large gamut of¿¿450mm Double Twist Bunching Machine. These machines are exceptionally designed with a sturdy finish to ensure a long functional life. This range of products are strictly manufactured in accordance with the specified standards and norms of the industry. Our machine allows for simple operation by infinite adjustment of the production parameters at operator's panel (winding force, traverse width, lay length). Moreover, we offer these machines in different specifications as per the customer's needs and demands in an affordable price range. 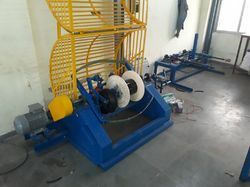 We are the leading manufacture,supplier of 400mm Double Twist Bunching Machine. 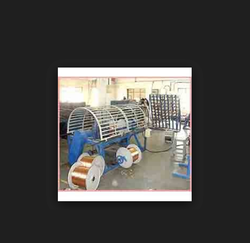 we are able to offer a superior quality range ofWire Bunching Machine. suitable for bunching fine guage copper conductor. Our clients can avail from us a cost effective range of high speed Bunching Machine that produces less stressed bunches at high speed. Looking for High Speed Double Twist Bunching Machine ?